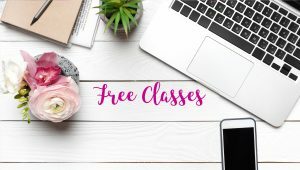 Get 3 Free Classes and More! Enter your email address below for access to 3 free art classes, the Insiders Facebook Group, plus our bonus library with lettering practice sheets and more! Learn Faux Calligraphy class: 3 simple steps to beautiful lettering. Embrace the Artist in You class: Overcome the mindset blocks that keep you from creating art. 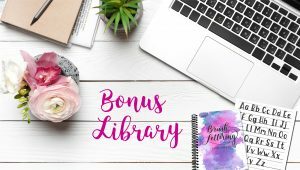 Bonus Library: Download Shelley’s Brush Lettering for Beginners Guide (a 10-page PDF), Block Party practice sheets, get access to our Facebook group, download lock screens and more! Join my newsletter and I’ll send you free training to learn lettering as well as occasional updates and relevant promotional material.